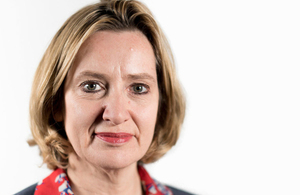 Home Secretary Amber Rudd gave an update on the joint work of the UK and French governments in Calais. The Home Secretary today provided Parliament with an update on joint work between the French and UK governments as the clearance of the migrant camp in Calais begins. Both governments remain committed to ensuring that children who are eligible to come to the UK are brought over as quickly as possible and those still in the camp are given protection. The Home Secretary told the House of Commons that, since her statement on 10 October, almost 200 children have been brought to the UK. In addition, it was confirmed that the UK will bring more children from Calais to the UK in the coming days and weeks, including both those with close family in the UK and those without family but who meet the broader terms of the Dubs Amendment. The Home Secretary also confirmed the UK will contribute up to £36 million to maintain the security of the juxtaposed controls, support the clearance of the camp and ensure it remains closed. This funding will also be used to help keep children safe in France. Read the Home Secretary’s oral statement in full.